Have you ever noticed how hard your clients can be on themselves? What would happen if they were kinder to themselves as they achieved their life goals? Loving-kindness or Metta meditation can help! Kindness is one of the most powerful acts we can engage in as human beings, and it's also highly transformative. Kindness can vastly change our inner-state from stress to ease, and you may be pleasantly surprised to know that 'random acts of kindness' have been scientifically proven to reduce stress and increase happiness. Why is kindness so important? When we experience kindness, we are often deeply touched. It's easier to be present and to express love. We experience a greater sense of safety, generosity and a higher connection to the world around us. It doesn't matter if you're the recipient, the giver or someone who simply watches an act of kindness, we feel good just being around kindness. It's a positive vibe that promotes health, boosts your immune system and allows you to feel more gratitude on a daily basis. And the good news is, it's simple to practice and share with your clients. How can I learn to be more kind to myself while guiding my clients? When we initially think of kindness, we might think of being kind to a loved one or stranger. We rarely think about how powerful it is to be kind to ourselves. But if we cannot be kind to ourselves, we cannot understand the essence of true compassion. We are each part of the whole. This is why it's important for us to learn how to be kind to ourselves so we can transmit this wisdom to our clients. Continued practice through 'Metta' or 'loving-kindness' meditation will help you learn to cultivate higher states of compassion and empathy. Metta meditation is also known as the practice of loving-kindness. And the practice of kindness always begins within. If you can show your clients how to be less judgmental and more accepting of themselves, you offer them a lifelong gift that allows them to create their life dreams with more joy and ease. What does Metta meditation involve? Begin by sitting quietly with your spine straight and your body relaxed. Then start the practice of Metta by sending loving-kindness to yourself. Next imagine sending loving-kindness to a loved one, then a person you feel neutral about, and finally someone you are deeply challenged by. You can end your Metta meditation by sending loving kindness to all beings around the globe. Below is a free guided 5 minute Metta meditation practice for loving-kindness. You can use this for yourself and also use this video meditation to guide your clients towards greater self-compassion, confidence and self-esteem. 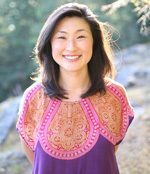 When should I use loving-kindness or Metta meditation with my clients? You can show your clients how to be more kind to themselves by guiding 5 minutes of Metta meditation before a coaching session. You'll find it relaxes the mind and helps put both of you at ease. In addition, whenever you find your client being hard on him or herself, suggest a short guided Metta meditation. They will receive the calming benefit and appreciate the time to slow down to connect with themselves. You will be amazed at how transformative and rejuvenating it is to practice 20 minutes of Metta meditation a day. You may notice in the beginning that it releases a great deal of tension and stress from the body and mind. 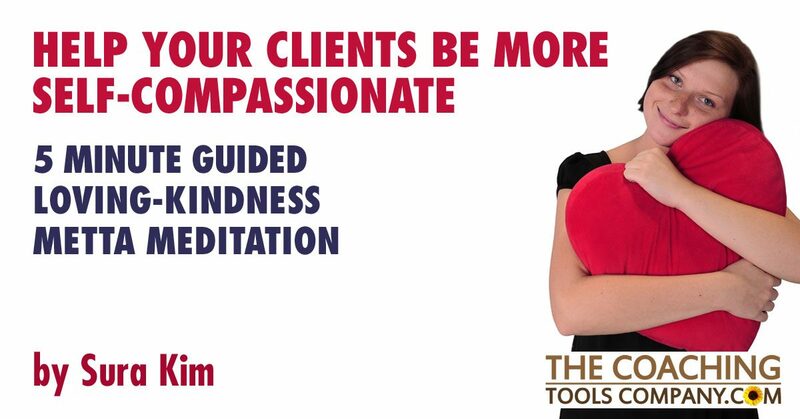 It also helps you feel higher levels of compassion for yourself and your clients. It's been shown that 20 minutes of Metta meditation a day for 21 days can boost dopamine, serotonin, and oxytocin - the "feel good" hormones. The practice of kindness is good for us, inside and out. It decreases pain, slows down ageing and helps you feel more energized on a day to day basis. You'll also find that if you're working with challenging people or on difficult projects, the simple practice of Metta, wishing all people peace, will help to dissolve tensions large and small as well as help cultivate more bonding and empathy. How long should I spend doing Metta meditation? If you are new to meditation, you can simply listen to this metta meditation practice for 5 minutes a day. Then you can practice on your own and work your way up to 10 minutes a day, then eventually working up to 20 minutes a day. Loving-kindness or Metta meditation helps people learn how to extend your circle of compassion. In the beginning, everyone tends to find it easier to send loving-kindness or 'Metta' to people they love. But with time, it gets easier to send Metta to those who challenge you, as well as yourself. And the more you develop this skill, the easier it is to share it with your clients. If you'd like to learn more about meditation and how it can serve you and your clients, I invite you to learn about our Certified Meditation Coach training course, LIBERATE. In this unique training, you'll learn how to integrate meditation together with coaching. By learning how to guide meditation, you help your clients by teaching them valuable life skills: developing calm, self-compassion and focus. Meditation helps us to tap into the true essence meaning of compassion and gives us the courage to lead with kindness. With true kindness, anything becomes possible.